There’s nothing quite like personalized favors! 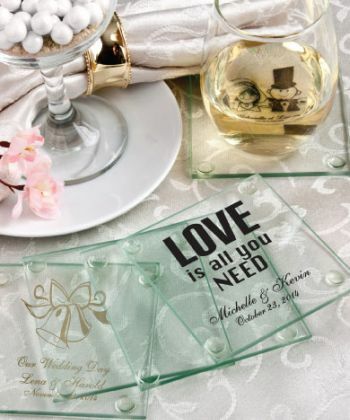 That’s because they are truly your own and they give your guests a memento that clearly marks the occasion! And, these coasters from Fashioncraft’sSilkscreened Glassware Collection make a fun and functional way to say exactly what you want to say in exactly the way you want to say it!